In the year 2170 a group of separatists lead by a man named Adam Hale have taken over a massive terraform machine that supplies the environment with an Earth-like atmosphere. 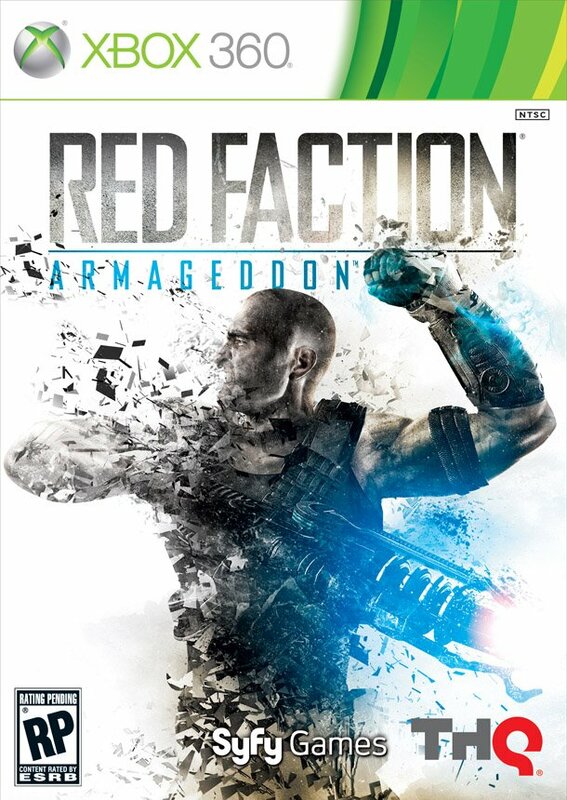 This machine makes it possible for humans to live on the surface of the planet, so the Red Faction forces make an assault on the terraformer in an attempt to reclaim it for the people of Mars. Darius Mason, the main character, and Frank Winters head the assault, but Mason is fooled by Hale which leads to the entire terraformer being destroyed. This forces the human population underground due to the uninhabitable weather on the surface. A few years later, Mason works as a mercenary along side his friend Kara. He gets a mining job which is a set up by Hale who again manages to trick Mason into releasing an alien race called the Plague. The Plaugue detry everything they see including the humans. Now it is Mason’s job to make things right, as he feels it’s his fault for letting Hale pull the wool over his eyes. With his Situational Awareness Module (SAM) to assist him in finding the truth, and Hale, he must continue on to take Mars back. The game has a large focus on destructible environments. Almost everything in the game can be completely destroyed, then rebuilt with Mason’s nano-forge module – It’s a very unique dynamic in the game. As a third-person shooter, the player can expect a variety of guns and weapons. The weapons range from a typical assault rifle to a gun that shoots out magnets giving the player the ability to pull down buildings and structures. There is even a singularity cannon which fires a miniature black hole that destroys everything around it. Throughout the game the player will gain XP by finding jars of nanergy around the environment, destroying structures, and later on by killing enemies. This XP will allow for weapons and abilities to be upgrade and/or gained. The nano-forge can discharge a force that can knockdown structures and hurt enemies, this ability can be upgraded by gaining XP, and other abilities can be unlocked. There are also upgrades to health and weapon damage available. The gameplay itself is relatively straight forward and simple, yet unique with the addition of the nano-forge. The enemy can be overwhelming at times, they appear in large groups most of the time and jump from location to location making it hard to focus on them. It’s a great challenge and the variety of enemies is pleasant. Since the majority of the game takes place underground, the visuals can appear dull at times. It’s apparent that they tried to mix up the appearance of the scenery by adding color and structures, but it ends up still looking drab with a splash of blue. Although this is not game breaking by any means, it’s something to take notice of. The graphics themselves are very clean and clear, but the facial animations seems unchanging, as the characters rarely change their basic facial expressions. The expressions made usually fit for the situation though, so it may or may not be very noticeable. The voice acting in the game is well done, and feels realistic. The story progression is also well done allowing the game to move forward at an understandable rate. It never slows down too far or speeds up too much, making the story easy to stick with and understand. I found this game to be very fun and entertaining. The characters and story were exciting, and the gameplay was extremely enjoyable. The game was overall very mediocre, and I don’t mean that in a bad way. It’s just that the game will not be the talk of the town, but it was also far from bad. I had one major problem towards the end when a devastating event takes place and I felt like I cared more than the characters did, which was strange. Other than that, I found the game worth a playthrough. I would recommend this game to anyone who enjoys a good shooter with a solid story.